JAZZ BeBop Series - ideal for semi acoustic and acoustic Jazz guitars, the heavy-duty set has been designed especially for Jazz guitars with extra large resonators. Sparkling, bright, and crystal clear sound. Jazz guitar playing is a highly developed art form that requires musical discipline, imagination, humility and good equipment. The JAZZ BeBop Series has roundwounded bass strings that will let your music sparkle! Probably the only round wound guitar string that can truly be called a jazz string! The string architecture employs a small gauge round wound nickel winding and produces a strong, fundamental, rich jazzy tone that is somewhat brighter than a flatwound. 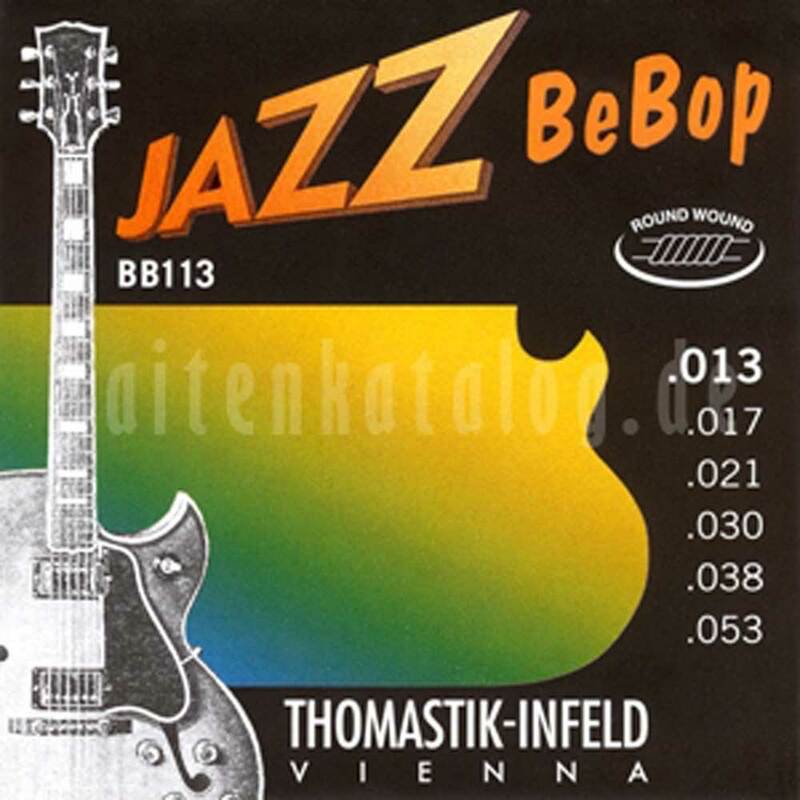 Jazz BeBop is an excellent choice for the player wanting real jazz tone. but with a bit more of an "edge".